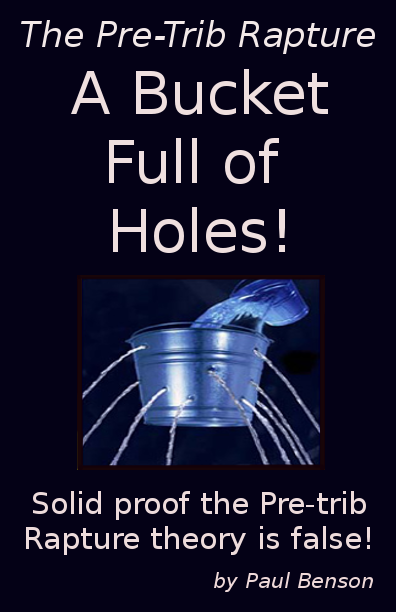 The Pre-Trib Rapture: A House Without A Foundation! PART 1: Every Eye Shall See Him! – Let's Get It Right! Is there a true foundation in Scripture for the concepts you are being taught to believe? Are you sure about that? 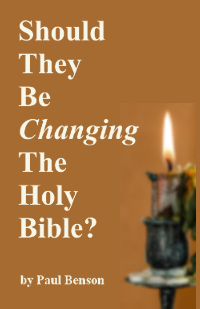 Let’s look at what the Bible REALLY says about one of the most popular concepts being pawned off as ‘Bible Truth’ in this day: An invisible coming of Christ for the Church. Multiplied millions are anticipating an any-minute-now departure of the Church through a non-visible coming of Jesus to this world in which he instantly disappears his followers and whisks them away to Heaven. They claim that when Jesus returns for his Bride the world will NOT see him, nor even realize he was here! But… is there any biblical foundation at all for this idea of an ‘invisible visitation’? Absolutely NOT! Throughout the Bible the event of Christ’s Coming is clearly described as a highly visible event! Anyone who would teach otherwise is speaking contrary to the truth. Let’s check out some of those portions of Scripture that discuss this upcoming event. In the book of Job (possibly the earliest writings of the Scriptures) he ties our resurrection to the day the Lord will stand upon the earth. What else did Job have to say about our resurrection from the dead? Since Job clearly prophetically declares that this resurrection will not take place ’till the heavens be no more’ (an event directly tied to the visible appearance of Christ at his Second Coming) we can discount any invisible appearance in association with our resurrection here. In 1 Corinthians 15 Paul described the day of our resurrection as the day death will be swallowed up in victory. He clearly stated this was a fulfillment of an Old Testament prophecy. Let’s look at that prophecy in Isaiah 25 and see if there is possibly any clue as to an invisible coming of Christ to resurrect and ‘rapture away’ the Church to be found there. *FOOD4THOUGHT: Also in direct association with death being swallowed up in victory on this day, is the promise that likewise the rebuke of God’s people shall also on that day be taken from off the whole earth! These promises must find joint fulfillment in the same events of THAT DAY (verse above). Think of the great rebuke and persecution of God’s people that will evidenced on earth in the final 3 ½ years of this age. If the resurrection/rapture took place before the time of great tribulation (instead of at the Second Coming) the promise of God that the rebuke of his people would be removed from off the earth on the same day that death is swallowed up in victory would not be true! This is just one of the many places the pre-trib theory turns the word of God into a lie. Here we have the Church resurrected and then hidden away safely under the wing of our Lord as he appears as Judge of all the Earth. We will be ‘caught away’ safe and secure as the Bride of Christ at the Second Coming as he then pours out God’s wrath. For years the pre-trib crowd has misapplied verses 19-20 of this chapter to promote the concept of a rapture before the tribulation; but they deliberately ignore the reference in verse 21 to the appearance of Christ to punish the wicked transpiring along side of this ‘hiding away’. There is NO secret or invisible coming of Christ detailed in any fashion here in Isaiah 26. It has to be presupposed and then inserted into the text; all the while disregarding the entire context and the description in verse 21 of Jesus leaving Heaven to punish the wicked people of this planet (which takes place at his Second Coming). What is plainly stated here for us to grasp is that the fullness of our salvation will be brought to us when Jesus is REVEALED to the world (not at an imaginary event seven years earlier). It takes some serious wresting of Scripture to extract any other notion from this passage. And pre-tribbers must stubbornly ignore many such verses to hold to their invisible Coming of Christ idea. Here we have a plain and simple description of the coming of Christ we are to be watching for! It will be a perfect reverse image of his departure! Even a minuscule amount of common sense ought to tell us that if the Church was going to be whisked away by an invisible coming of Christ these angels would NOT have told his followers to be looking for him returning in the same physical visible manner as his ascension! What sense would it make to tell the Church to be looking for something they would never see? Here the writer of Hebrews informs us the second appearance of Christ will bring us the salvation that we have obtained by him bearing our sins at his first appearance. Okay, that is easy enough to grasp. We are awaiting salvation at Christ’s second appearance! Now in this generation we are expected to believe that it is not his actual Return to this planet at his Second Coming that brings us our salvation; but it is a non-visible coming seven years earlier that is the ‘second appearance(? 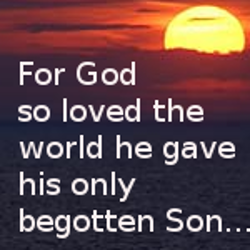 )’ that the writer of Hebrews was speaking of which bring us our salvation? This description in Mark 13 (as well as in Matt. 24) of Christ’s coming, and his Church being gathered unto him, clearly shows Jesus as appearing visibly in the clouds; just as the angels in Acts chapter 1 also described. And this is consistent throughout the Bible! Of the scores of passages in the Bible that speak of the coming of Christ there is no indication of anything but a visible appearing for all the world to see. Not in so much as even one place does it anywhere indicate a non-visible visitation of Jesus to remove his people! Does it stand to reason we should set aside a 2,000 year old belief that we will be gathered unto Christ at his physical appearance (as is so clearly stated in Scripture), and instead hold to some modern misconception of this gathering transpiring at some non-visible coming of which there is absolutely NO biblical description? That would be crazy! Absolutely nuts! We would have to be either completely unfamiliar with the Scriptures or under some sort of a deluding satanic spell to teach or believe such a thing! I am quite curious here. Where do YOU fit into this equation? I challenge anyone promoting the pre-trib rapture fable to show me an invisible coming of Christ clearly portrayed in the Bible. The notion is not so much as even hinted at. In fact the Lord Jesus himself refuted such an idea! Why do so many refuse to heed these words of our Lord? He said folks would come along saying this or that about his coming, but we should be wary of deception. He totally refuted the notion of a secret or out-of-sight coming. He said that like a flash of lightning is vivid and visible to all, so also will his coming be! When it comes to people teaching anything other than a visible-for-all-to-see coming of Christ what are we to do? Believe it not! Jesus knew there would be great deception afoot in the last days, and he gave us those words that we might avoid that deception. Have you heeded those words; or given place to the deception? If you are promoting the concept of an invisible coming of Jesus to rapture away the Church I earnestly exhort you to return to the true teachings of the Bible. Let’s base our beliefs and teachings upon what is clearly and plainly stated in the Bible; and not upon the foundationless fables the deceived among us are promoting. Read your Bible and believe what it says; not what people claim it says! And PLEASE! For your own sake, and the sake of those who are impacted by your words, demand a foundation in Scripture for ALL concepts being presented to you as ‘Bible truth’! This series continues here in Part 2. I do welcome your input! how many years is the Tribulation? It appears that the bible says one thing and man is saying another. Less than 7 years. I think it unwise to try and associate a number (3.5, 7, or whatever) to the time of tribulation Jesus spoke of. I think this lends to error as it forces timeframes that don’t completely jive with the sequence of fulfilment we see in the Scriptures, and that causes confusion. This tribulation is definitely taking place in the end-time scenario, but not necessarily in total sync with the 7 year or 3.5 year events. We do see both the 7 year and 3.5 year spans referred to in Scripture, but we must associate them with ONLY the issue the context points to, and not our prophetic charts or timelines. Maybe this will help a bit: Consider the 3.5 year span we find that is firmly associated with the rule of antichrist. Also consider that Jesus returns AFTER the ‘tribulation’ (persecutions and hardships endured by the believers is what I believe Jesus was referring to by that word) of those days. Jesus must return BEFORE the end of antichrist’s reign. The reason I say that is because there has to be time for antichrist to: 1. convince the world to fight against the true Christ who has now arrived, and 2. for the world to gather their forces together and send them to the middle east for the battle of Armageddon. That is going to take a bit of time to move those armies and all their resources across the globe. I don’t think Fedx is going to overnight them! If Jesus returns AFTER the tribulation has died down, but somewhat BEFORE the end of antichrst’s reign (and his destruction) that means the tribulation has to end somewhat BEFORE the end of the 3.5 year rule of antichrist. So there cannot be a synchronicity between the tribulation and the 3.5 year reign of antichrist. I hope that makes sense. And, to me anyway, this makes more sense of Jesus’ words that we are not to fall asleep and be caught off guard by his return. Paul clearly said that the world would be saying peace and safety when they are surprised by sudden destruction (1Thess 5:3). The cataclysms of the tribulation must be over for folks to now be saying peace and safety. If things have quieted down on the world scene Christians may have a tendency to slip into carelessness. Perhaps antichrist has lost control or authority over parts of the world; or maybe never gained total control? Or maybe he feels he has ‘scattered the power of the holy people’ sufficiently to where they are no longer a threat? Or maybe other issues have become of much more importance, and he no longer devotes any energy to the persecution of the surviving believers? We don’t know exactly just how it will be; but if Jesus warned us to stay awake there must be a period of quietness for the return of Christ to take any by surprise. These factors are why I feel the tribulation will end sometime BEFORE the end of antichrist’s reign; and stuffing both into the 3.5 year timeframe is not proper. Thanks for the reply and the words of wisdom. The 70th week of Daniel is 85 months, but the tribulation is the 1335 days mentioned in Daniel 12:12. I believe there will be tribulation 1260 days(42 months) and great tribulation the remaining 75 days. Previous Previous post: Do YOU Understand Repentance The Way The Bible Teaches It? Next Next post: The Pre-Trib Rapture: A House Without A Foundation! PART 2: Raptured Off To Heaven?